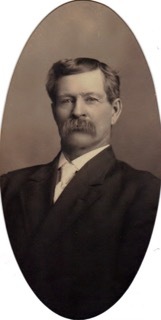 Above, Robert Anderson Berry (1848-1926), son of James and Jane (Rutledge) Berry. transcribed to the Obit Board. Above, the Robert Anderson and Virginia Frances (Johnson) Berry family. Front row, left to right: Ina Helen (Berry) Allen, James Ora Berry, Grace I. (Berry) Barnard. 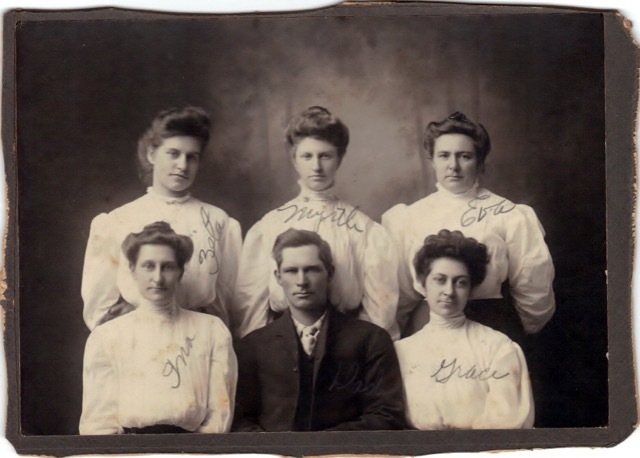 Back row, left to right: Zeta Belle (Berry) Miller, Myrtle L. (Berry) Neal, Eva Josephine (Berry) Collier. Missing from photo, Alta F. Berry. Above, Virginia Frances (Johnson) Berry, wife of Robert Anderson Berry. Virginia's obituary has been transcribed to the Obit Board. Contributed May & August, 2016, by Carl Malone.